The temperatures have became so frigid the last couple weeks that I dread any time I need to go outside and I have been struggling to stay warm. 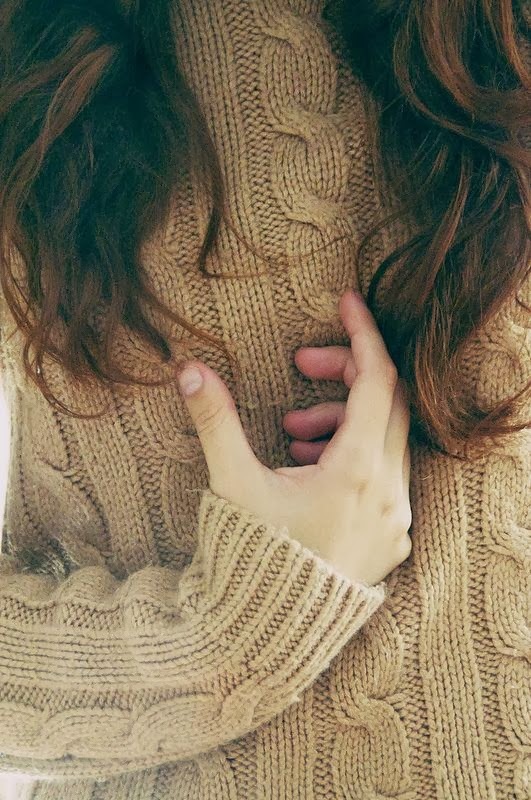 Sweaters have been my friend lately and I love a good cable knit. Pair it with jeans and a warm coat and you have my uniform lately. Have you been dealing with snow, ice, and freezing temperatures too? It has been so cold where I live (like -30!). It's been months since I haven't had to wear layers. Hoodies and so many hoodies and piles of blankets - that's my routine for this week. We're down to -24C this morning - my apartment can't keep warm with that outside! love the chunky knit sweater... can't get enough of them right now! It has definitely been freezing here in DC! I've been wearing a lot of sweater tights and boots. The boot cut jeans are a winner for me. I am stuck in my skiinies cause I can tuck them into boots. I've always though boot cuts should be called something else, since they go over the boot instead of tucked into them. i love a great sweater and nice jacket.